Behold! Here is your handy, one-stop shop for links to all of our supporters, past, present and (hopefully) future! Our major sponsor from Day 1! The core of our supporter group and all-around tops mob. More than just providers of stuff, Wizards of the Coast have actively engaged with the event and provided help with games, activities, and general admin and org. Oh yeah, and they're in Corporate Responsibility Magazine's Top 100 Corporate Citizens and Ethisphere.com's most ethical companies for 2018! What if your FLGS also had an epic events space and a bar in the basement? Why, then you'd have Games Laboratory. Makers of the epic Sentinels games, superhero co-op goodness. Purveyors of gaming goodness across Australia. Dee's is the biggest Australian comic store on eBay, and her bricks & mortar store in Canberra is always a joy to visit. A light saber academy and Jedi temple. These guys do great work for charity in their own right. A small games studio with a strong pedigree. Their latest game, Submerged, is a third-person, combat-free exploration game. Amazing, bespoke costumery and accessories made with dragon scales. Phenomenal stuff. Fantastic, limited-edition T-shirts with geek and gaming themes. Your host owns many, many Qwertees shirts. Engaging and challenging escape rooms in the heart of Melbourne. Who doesn't want to play an 8-bit inspired, dungeon-building card game? Senyac games' El Luchador Fantastico Grande is fast and fun, with a super strong sense of theme and a simply gorgeous art style. Creators and publishers of fantastic, card-based games. A point and click adventure, but in real life? Where do I sign up? Another fantastic games company, offering everything from deep wargames to fast-paced card games. Epic gaming sounds & peripherals! 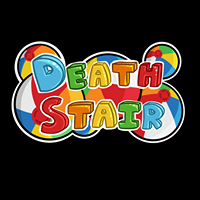 Developers of the ridonkulously fun "Death Stair". Spawned by the Sons of Obi Wan and every bit as awesome, you can drop one of these 100% Australian-designed and 99% Australian-made combat from the second story and it'll still work. 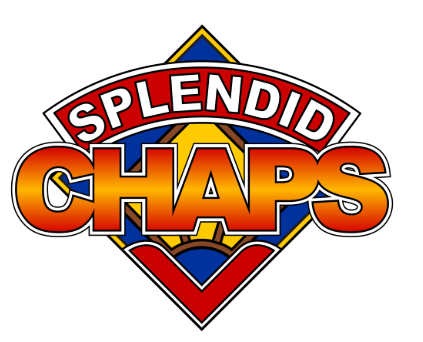 Purveyors of top quality audio comedy and podcasting goodness. Home of "Night Terrace" and "Pratchat"
Makers of the enthralling FRAMED games, this Australian game development house is full of people as generous as they are talented. An Aussie tabletop games distributor and publisher, Rule & Make have a stable of excellent games available. Not only are their games excellent, but the style and audience of them are also incredibly diverse, so check them out! Awesome LARP weapons, cosplay supplies, and collectibles. The crazy fun of paintball, without all that "bruising and pain" stuff. Tech Assault is laser tag as it's meant to be played.